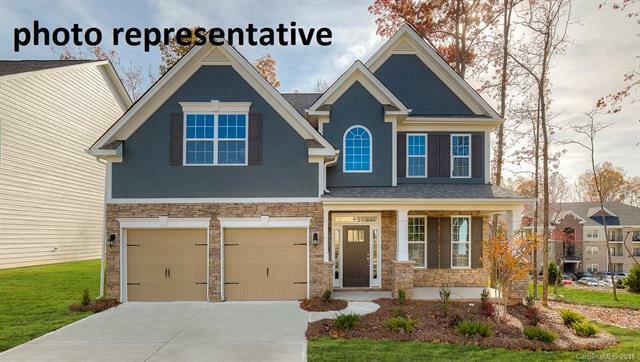 Our Wonderfully Popular Fleetwood model in the Matthews area! Boast a 2 Story Foyer. Kitchen open to FR. Handsome cabinetry & Granite in Kitchen & bathrooms. Detailed Trim along w/Hardwood flooring on first floor except bedroom-carpet and full bath. Tile in all Baths & laundry. Master has trey ceiling. Master bath has tiled shower with semi-frameless door. Tile surround on garden tub. Large secondary bedrooms and Bonus Room/5th bedroom over garage. Open floorplan & Inviting front porch! A Quick Move in HOME!